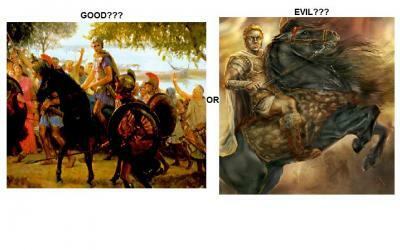 WebQuest: Alexander the Great: Positive Unifier or Evil Conqueror? Alexander the Great: Positive Unifier or Evil Conqueror? Welcome: Alexander the Great: Positive Unifier or Evil Conqueror? Description: Students will examine Alexander's life and determine him to be either good or evil. Upon deciding that, they must write a paper, complete a political cartoon, and take part in a debate against someone of the opposite opinion.